Booker Prize winning author Alan Hollinghurst; Stephen Daldry, Director of ‘The Crown' on Netflix; Sri Lankan writer Ashok Ferrey; along with prominent names from Indian literary circles including Shashi Tharoor, Upamanyu Chatterjee (writer of the iconic ‘English, August'), RTI activist Aruna Roy and poet Jayanta Mahapatra, will participate in the 9th Tata Literature Live! The Mumbai LitFest in November. The four-day long is scheduled to open here on November 15 with participation of over a 100 top writers, intellectuals and performers spanning a multitude of genres from around the world, an official said here on Monday. It will be held simultaneously at the NCPA, Nariman Point, Prithvi Theatre Juhu and this year at a third) venue, St. Pauls Institute of Communication Education, Bandra. Among the other prominent international names announced are: David Ebershoff (author of the award-winning 'The Danish Girl'), Mexican author Albert Ruy-Sanchez, former BBC India chief Mark Tully, British art historian and ex-director of National Gallery and British Musuem Neil MacGregor, and science-economics writer Matt Ridley. Top Indian personalities like activist Aruna Roy, actress-activist Kalki Koechlin, scientist Nambi Narayanan, innovator-scientist R.A. Mashelkar, sports historian-commentator Boria Majumdar, author-politician Pavan Varma, economist Sanjeev Sanyal, writers Ashwin Sanghi, Janice Pariat, Aatish Taseer, Siddharth D. Shanghvi, poets Tishani Doshi, Harnidh Kaur and eco-warrior Rishi Aggarwal and more will also participate. 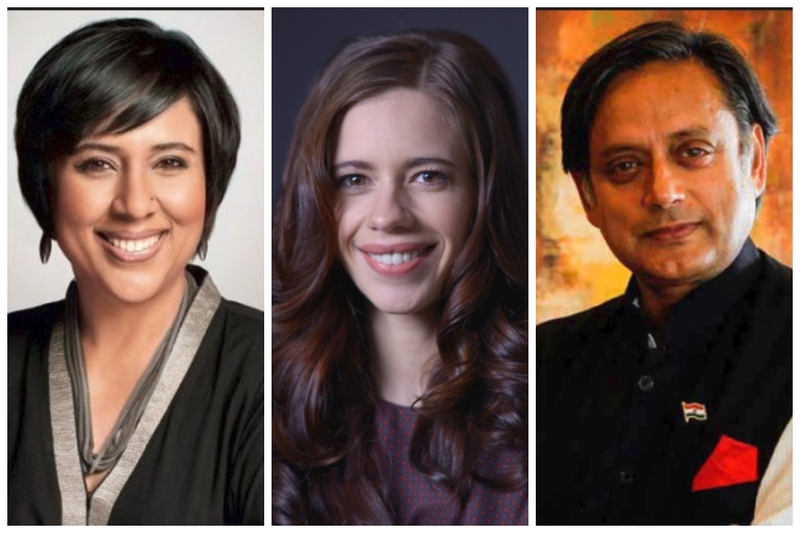 There will also be talks by Neil MacGregor, the big debate on "Should India Have a Presidential System of Government" with Shashi Tharoor and Bhanu Dhamija for and Pavan Varma and Teesta Setalvad against, to be moderated by journalist Barkha Dutt, said Founder and Festival Director Anil Dharker. The LitFest is conceived by Dharker with Tata Group as the title sponsor, Tata Steel as co-sponsor and Landmark as the knowledge partner. As in past, the LitFest will celebrate and give away awards like The Tata Literature Live! Lifetime Achievement Award, Tata Steel Literature Live! Poet Laureate Award, the First Book Award, Book of the Year Award, Business Book Award, the Big Little Book Award in children's literature category, Publisher of the Year Award and Sultan Padamsee Award for Playwriting to encourage English theatre in India, Tata Son's Brand Custodian Harish Bhat. If you're a fan of #TheReader, #TheHours or @TheCrownNetflix - you don't want to miss Stephen Daldry, the incredible man behind them, at #TataLitLive2018.